Step out of the city life by going to Royal Botanic Gardens and Sandridge Beach. 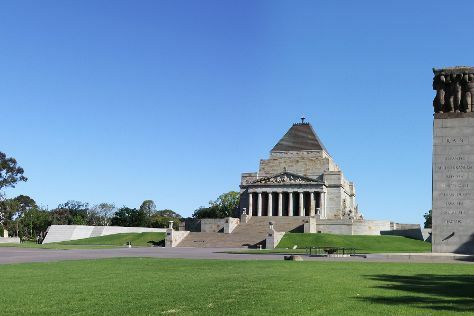 Shrine of Remembrance and Old Melbourne Gaol will appeal to history buffs. And it doesn't end there: wander the streets of Melbourne Central, get to know the resident critters at Melbourne Zoo, explore the world behind art at National Gallery of Victoria, and get a taste of the local shopping with Collins St/Swanston St.
To find photos, more things to do, and more tourist information, you can read our Melbourne trip itinerary maker app . Kuala Lumpur, Malaysia to Melbourne is an approximately 11-hour flight. Due to the time zone difference, you'll lose 2 hours traveling from Kuala Lumpur to Melbourne. Traveling from Kuala Lumpur in November, you will find days in Melbourne are slightly colder (26°C), and nights are cooler (11°C). 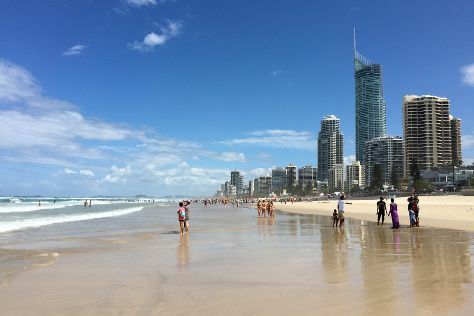 Finish up your sightseeing early on the 4th (Wed) so you can travel to Gold Coast. On the 5th (Thu), tee off at Surfers Paradise Golf Club, enjoy the sand and surf at Burleigh Heads Beach, and then browse the different shops at Pacific Fair Shopping Centre. To find maps, more things to do, traveler tips, and tourist information, refer to the Gold Coast trip builder site . Traveling by flight from Melbourne to Gold Coast takes 4 hours. Alternatively, you can do a combination of flight and train; or drive. Traveling from Melbourne in December, plan for a bit warmer nights in Gold Coast, with lows around 22°C. Wrap up your sightseeing by early afternoon on the 6th (Fri) to allow enough time to travel back home.